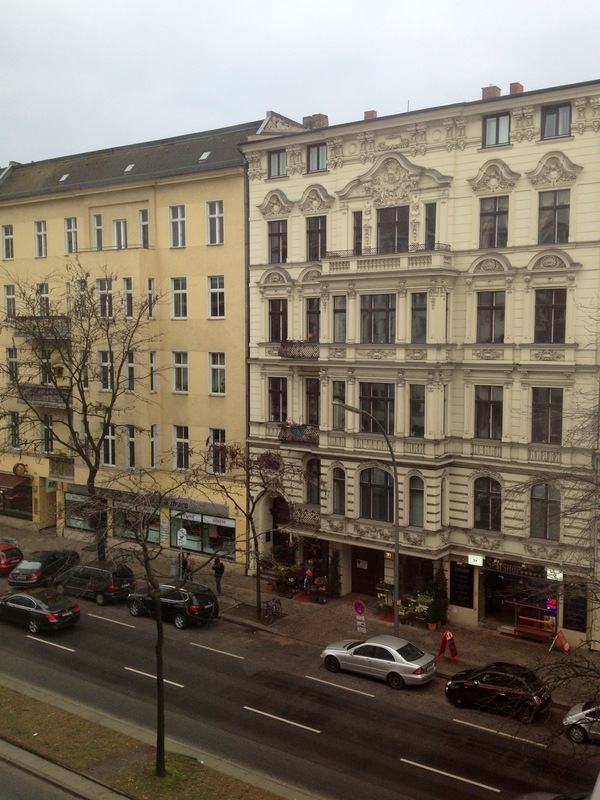 Kantstraße from the third floor flat. 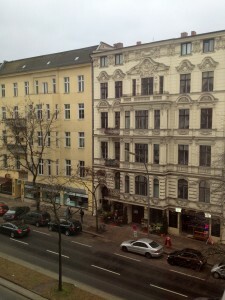 Framing history through my view out the window. I see ornate structures restored. Others newly built. Wiener Beisl next to Paris Bar and Restaurant. the shop across the street? in their chairs and picture frames? What do they think as they walk down the street? as they look toward me? where the little red car once stayed. the rows of black and gray lining the front of the shops. Who owns these cars? Rides in them? Do they live nearby, or are they just passing by? of the sidewalk as others rush by. One points excitedly down the street. the other’s humanity, to nurture a friendship. I wonder as I sit by the window. Have they heard that God is in Berlin?